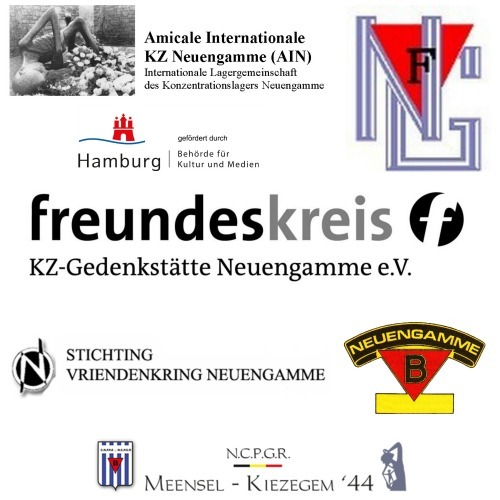 The annual congress of the Amicale Internationale Neuengamme took place from November 3 to 5, 2017, in Hamburg. The AIN Congress participants laid down flowers at the former crematorium’s site. © KZ-Gedenkstätte Neuengamme. 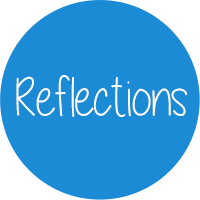 This blog brings you some closing thoughts regarding this congress from one of its guest participants Tom Devos from Meensel-Kiezegem (Belgium). 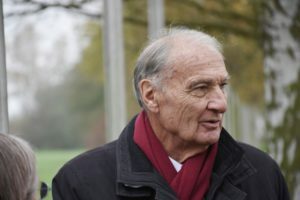 The AIN Congress is the annual meeting of the board of the Amicale Internationale Neuengamme, which was founded in 1958 by the national organisations and Amicales of survivors of the Neuengamme concentration camp and their families. 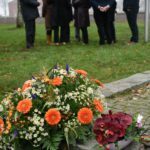 The AIN has the goal to remember the nazi-crimes committed in Neuengamme and its satellite camps and to give a sounding board to survivors and descendants of victims of the camp. The congress is an ideal opportunity for the members of every national organization to come together and discuss the future actions of this international organization. It also plays an important role in maintaining the friendly exchange with the representatives of the Neuengamme Concentration Camp Memorial. Traditionally, the board of the AIN consists of representatives of every national Amicale of Neuengamme. Today in total six countries are represented, being Belgium, Denmark, France, Germany, the Netherlands and Poland. 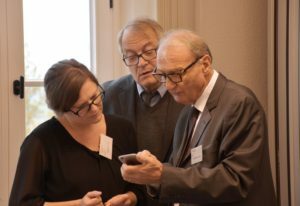 This year’s meeting had an atypical constellation, since for the first time representatives from Meensel-Kiezegem (BE) and Putten (NL) joined the board as guest participants. As I’m one of those new representatives, this was also the first time that I got the opportunity to be part of this enlightening congress. It turned out to be an enthusiastic multi-generation gathering of driven people. During the first part of the congress, we took the time to get to know each other, but also to share insights on what every organization was doing in their own country or region. Soon, this became a source of inspiration, as a lot of opportunities were discussed to work together across borders on different topics, but also organize international gatherings between organizations. The retrospective about the work done by the AIN in 2017 underlined the importance of its participation in current debates and discussion concerning the current use of the sites of the former satellite camps as well as that of the main camp. One of the key-moments during the congress is the (re-)election of the board of the AIN. The attending representatives re-elected president Jean-Michel Gaussot from France as president for two more years, as well as the secretary general Christine Eckel and vice-presidents Mark Van den Driessche (BE), Martine Letterie (NL) and Helle Sorensen (DK). The vacancy of treasurer was left open for the time being. The re-elected president of the AIN, Jean-Michel Gaussot. © KZ-Gedenkstätte Neuengamme. This election was also the opportunity to discuss the future of the AIN, as next year will be the 60th anniversary of the organization, which could be a good moment to reconsider the current vision of the structure and constellation of the organization and its members. This may include, for instance, the opening of the AIN to more than strictly national organizations in order to strengthen the common work and voice of the Neuengamme concentration camp survivors and their descendants. 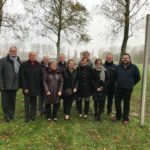 We see and value the work of local organizations like, for instance, the associations from Putten (NL) and Meensel-Kiezegem (BE) which today are very active organizations when it comes to remembering the history of the Neuengamme camp commemorating its former prisoners. Yet, these organization cannot become direct members of the AIN due to limits in the statutes of the organization. In addition, we also see the younger generations getting involved with the work of the Neuengamme Memorial via new, more direct – and often digital – channels. Some of these youngsters, often from the 3rd or 4th generation, feel the need to create an international network where they can discuss their questions and express their specific approach to the history of the Neuengamme concentration camp and its impact on their families today. As these two important insights were discussed during the congress, the need arose to reconsider the vision, and the impact of this renewed vision on the statutes. The AIN expressed a strong interest in the ideas which three representatives of the 3rd and 4th generations, Swenja Granzow-Rauwald (DE), Victoria Evers (DE) and Natasha Assies (NL), had presentend during the Forum “Future of Remembrance” in May 2017 and proposed to them to organize, as a first step, a meeting of youngsters from different countries interested in forming this new network. 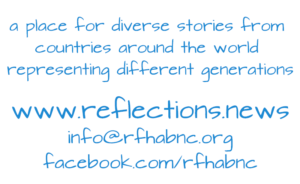 Another important topic during the conference was the relaunch of the Reflections Blog, which was founded by Swenja Granzow-Rauwald two years ago. As the AIN is one of the main contributors, together with all their national and local members and the German Freundeskreis, Swenja took the time to present the redesigned version of the blog. As the board unanimously thanked Swenja for all the hard work she is accomplishing, they also approved continued financial and substantive support for the next coming years. One of the last topics discussed were the preparations for the events in May 2018, when the AIN will celebrate its 60th anniversary. 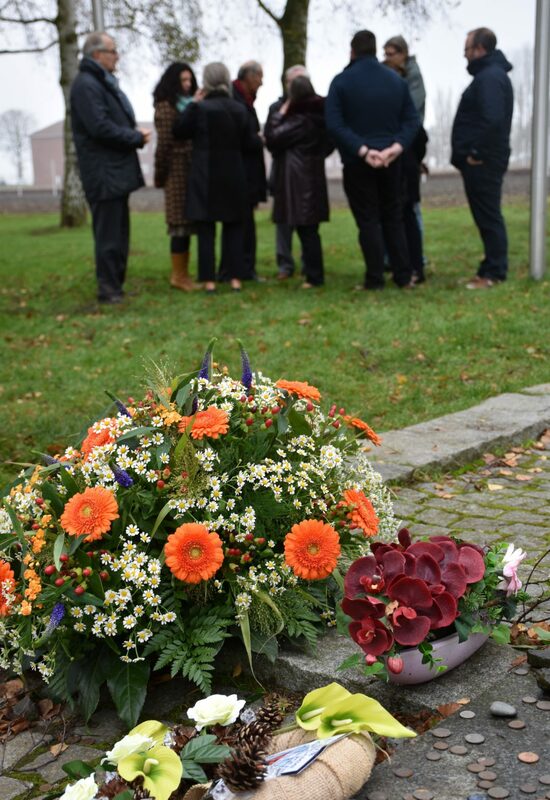 It is decided that, together with the annual commemoration events in Neuengamme, there also will be an extra moment of celebration, shining a light on the long-founded history of the organization, but also with a glance to a renewed future. In conclusion, for me personally it was a more than enlightening congress. The ability to get to know like-minded people from different countries, all driven by the same cause of keeping the memory alive made it more than an inspiring weekend. Whilst writing these thoughts, as the positive vibes are still flowing through my body, I think we are getting ready for a next era in commemoration on an international level. To be continued the next coming months, maybe seeing you at the commemoration in May 2018 where you might see the first fruits of this year’s congress.